We are a unique entity in the industry, actively committed towards offering an optimum quality range of Form Fill Packaging Machine. In accordance with the set industry standards, this machine is manufactured by our skilled professionals using the latest technology. Owing to its smooth operations and long service life, the offered machine is highly demanded among our clients. Moreover, to ensure the optimum performance, this machine is stringently tested by our quality experts on various quality parameters. We, “Ganpati Packaging System” are a notable and prominent organization engaged in manufacturing and supplying a broad assortment of Packaging Machines, Sealing Machines, Cup Filler Machines and Band Sealer Machines. Machines offered by us are widely demanded in food processing, chemical, beverage and many more industries and are suitable for packaging purposes. All our offered machines are manufactured as per the global quality standards using superior quality components and modern technology under the supervision of our skilled team members. These machines are immensely acknowledged in market due to their attributes such as rigid design, reliable usage, hassle free functioning, high efficiency, low maintenance and long working life. As per the different choices of the customers, we provide these machines in diverse models and other technical specifications. Quality is the foremost objective of our firm therefore we assure our customers that the machines provided by us are stringently checked on different parameters in order to provide flawless range to the clients. Additionally, we provide these machines to the clients within scheduled time frame and at most genuine rates. 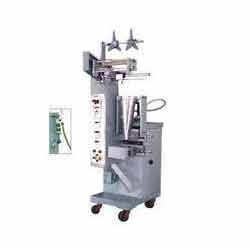 We are also providing maintenance services of packaging machines.